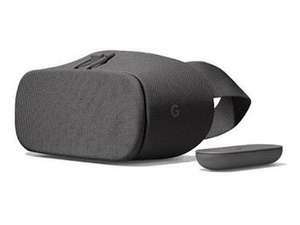 Very good price, was £49 via Google Store last week for a limited time but back up to £99 now. Ordered several times from them never an issue. Harsh that lavafire - we have feelings too you know! You ever need help - just drop us a DM or email! Does this work with any phone or just selective ones? But on the +side, the Go does allow you to add prescription lenses into the headset. Frustratingly I cannot find anywhere I can demo Daydream! 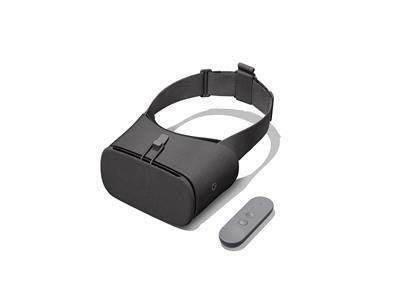 Anyone with this that’s had time with Oculus Go to compare? I did a demo o …Anyone with this that’s had time with Oculus Go to compare? I did a demo of the Go yesterday and was impressed, but there’s a number of point that limit it for me:- no BT Audio support- no YouTubeBut on the +side, the Go does allow you to add prescription lenses into the headset. Frustratingly I cannot find anywhere I can demo Daydream! FYI been this price there for a while. Spotted it a fair few weeks ago when the world cup was on. Assume it isn't a limited time offer. 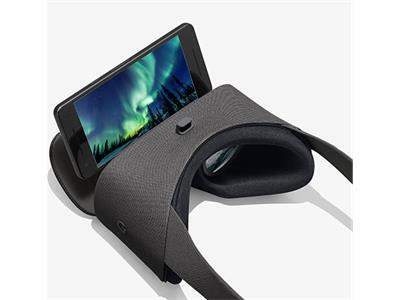 Yes you can set Netflix VR into a mode that will allow you to lay on your back and watch movies, same with YouTube VR. Samsung gear gen 2 is on Amazon at £31 for anyone interested. Think I prefer the look of this though. Ordering from BT Shop isn't the problem, it's the fact that no one has every received an order from BT Shop. Their warehouse is empty and their website is just a big list of "discontinued" items. All in all, they have cancelled more orders than they have processed. There has only been one confirmed processed item from BT Shop and that was in 2013 when a man ordered a 50 disk blank DVD spindle at an eye watering £79.99. The above is a true story :). Maybe it is just I'm unlucky. I ordered a NAS a while back, everything was fine. Then heard nothing from them for weeks, I kept on checking their website it always said processing. When i finally rang them up they told me there was no stock, and then cancelled my order. Like @Carson_Official mentioned above, it is not about the service it's also the fact I just never got my purchase. For the same reasons why I'd pay a bit more for Prime, I wouldn't pay less for something that might not have stock. Harsh that lavafire - we have feelings too you know! ;)You ever need help …Harsh that lavafire - we have feelings too you know! ;)You ever need help - just drop us a DM or email! Perhaps, but it is also a terrible feeling when you think you are going to get something and then it never turns up. Also, I did ring up your customer service but nothing can be done since there's no stock. Ordering from BT Shop isn't the problem, it's the fact that no one has …Ordering from BT Shop isn't the problem, it's the fact that no one has every received an order from BT Shop.Their warehouse is empty and their website is just a big list of "discontinued" items. All in all, they have cancelled more orders than they have processed. There has only been one confirmed processed item from BT Shop and that was in 2013 when a man ordered a 50 disk blank DVD spindle at an eye watering £79.99.The above is a true story :). LOL were they double sided though? So, does it look like a cinema screen when watching films in it or does it just feel like holding a mobile phone in front of your face? Maybe it is just I'm unlucky. I ordered a NAS a while back, everything was …Maybe it is just I'm unlucky. I ordered a NAS a while back, everything was fine. Then heard nothing from them for weeks, I kept on checking their website it always said processing. When i finally rang them up they told me there was no stock, and then cancelled my order. Like @Carson_Official mentioned above, it is not about the service it's also the fact I just never got my purchase. For the same reasons why I'd pay a bit more for Prime, I wouldn't pay less for something that might not have stock. Was it a Netgear NAS by any chance - I had the exact same issue - what really annoyed me was that the order was cancelled and then two weeks later the item is back at a much higher price. Excellent business practice eh @BT_Shop any thoughts? So, does it look like a cinema screen when watching films in it or does …So, does it look like a cinema screen when watching films in it or does it just feel like holding a mobile phone in front of your face? It should be the same as the go which is like sitting in the cinema with a big screen in front of you. Hi McAfeeman - happy to take a look at the specific instance if you drop a DM with the Sales order. I can assure you we ship 1000s of orders each week across 100s of brands without incident - I can only apologies if you've experienced an issue and assure our team are always on hands to speak should you need. Hi McAfeeman - happy to take a look at the specific instance if you drop a …Hi McAfeeman - happy to take a look at the specific instance if you drop a DM with the Sales order. I can assure you we ship 1000s of orders each week across 100s of brands without incident - I can only apologies if you've experienced an issue and assure our team are always on hands to speak should you need. I afraid you have been caught out far too many times for listing items you have no intention of selling at the price listed - discontinued or suddenly out of stock. I don't even check your site anymore for comparisons anymore. My post was clearly a joke but its not far away from my experiences with you. As you can see from above, a lot of people have had similar experiences. Thanks for the feedback, we like to think not (especially given we're much the same team) - and thousands of customers tend to agree - but that said we appreciate your custom when we were dabs and perhaps you'll give us a whirl again in the future if we can tempt you with the right offer! BT Store feedback - read what other customers think of you!! Ordered this from Dabs on Tuesday, received Thursday morning. Working fine with my (HUKD) ZTE Axon 7. Oh and got a few pence Quidco on it too hopefully. Ordered this from Dabs on Tuesday, received Thursday morning. Working fine …Ordered this from Dabs on Tuesday, received Thursday morning. Working fine with my (HUKD) ZTE Axon 7. (The Hong Kong alternative referenced above wanted £10+ for shipping, which with delivery delay, negated any real saving. )Oh and got a few pence Quidco on it too hopefully. Have you used the controller to play and real motion track games, eg the one where you through discs at each other? 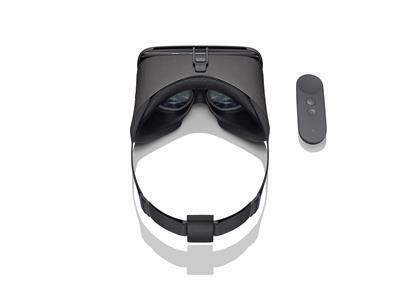 I really wanna know how good the controller is, if it compares to occulus or gear? Just realized it's the 2017 version after I checked out. Should I be concerned? The differences are pretty much just superficial, yeah?